Late last year, we announced two new European nations for 2018: Poland and Italy. 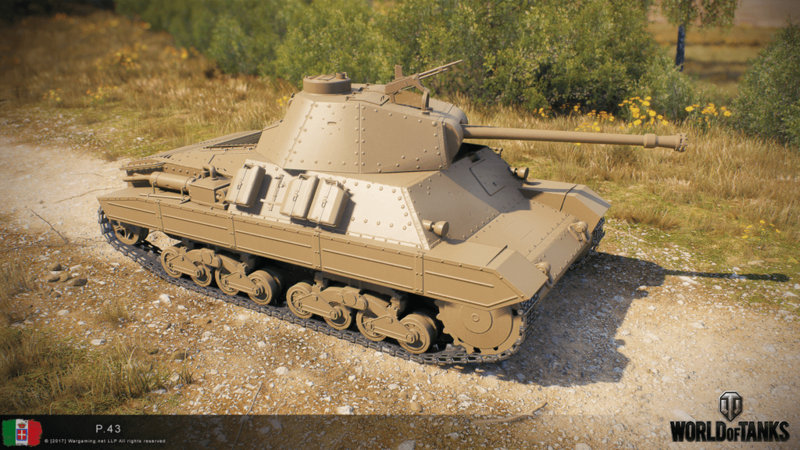 The supertest of Progetto M35 mod 46 in January revealed the new nation’s tech tree would be full of Mediterranean machines. As Progetto’s brethren roll out for a supertest, we want to give you a heads-up about these new kids on the block. 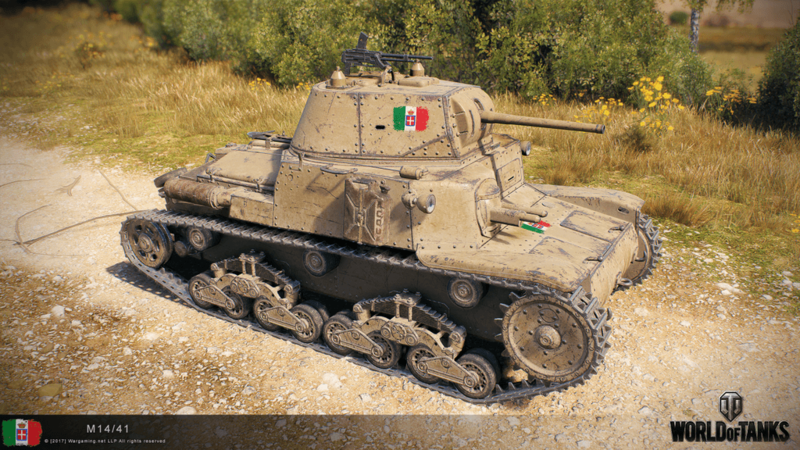 The first post-1.0 update will unleash 11 Italian medium tanks reinforcing the game with the tenth Tech Tree. Tiers I–VII retrace the history of the nation’s tankbuilding, from Italy’s early tank designs at lower tiers through to post-WWII machines at mid-to-higher tiers. But the cherry on the cake are Tiers VIII–X with a new gun system, a hybrid between an autoloader and a regular gun. This Italian revolver of sorts, called “autoreloader,” can automatically reload a shell in the drum even when the drum is not empty yet. The new branch of mediums covers three periods of Italian tank design: the timid first steps, the catch-up, and post-war, western-oriented. The timid first steps: Out in front in terms of tank design at the time was the French. 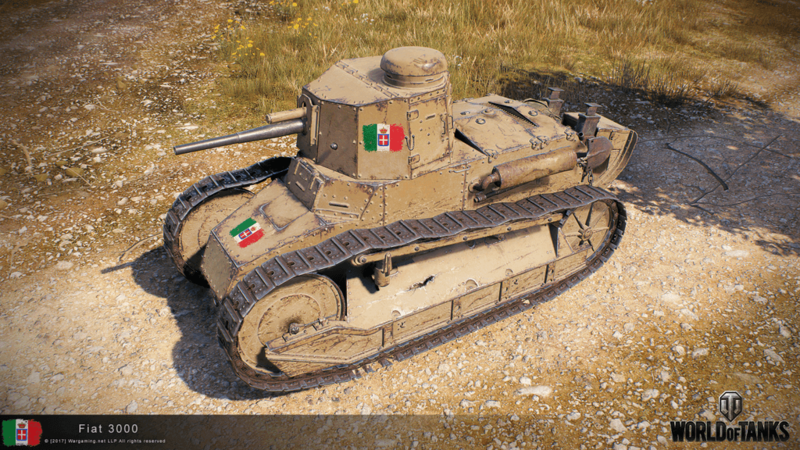 The Italian tanks drew inspiration from, or more blatantly copied, French designs but over time experimented with their own ideas. Distinguishing features were light armor and various gun calibers. Catch-up Phase: Attempting to reach the standard set by the most developed tank-building nations, it was about more firepower and thicker armor. Originally started to produce heavies, it was actually mediums that made it off the production line. A new premium consumable is coming with the tenth tech tree. No it’s not pizza as you’d assume, it’s a pinnacle of Italian cuisine: spaghetti (let’s just hope it doesn’t get tangled in any machinery). The first thing you will notice is the choice between the M14/41 and L6/40 at Tier II. 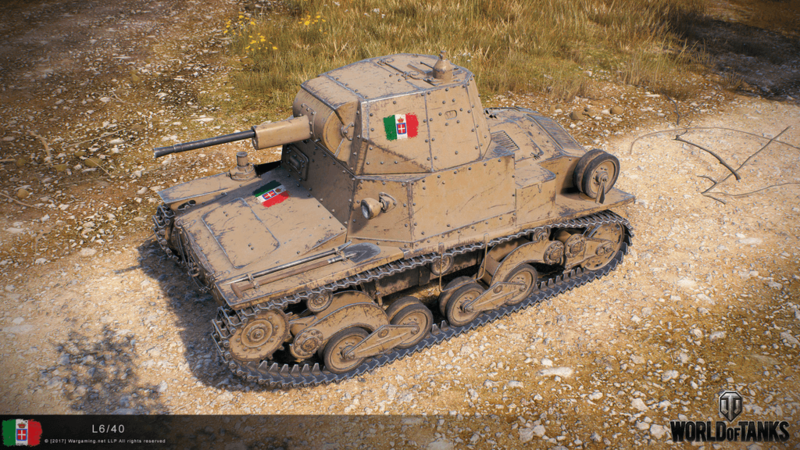 Similar when it boils down to game characteristics, both tanks left a huge mark in Italian armored vehicular history. We’re paying homage to them by adding both for you to try. Learn more about this mass-produced duo and their elder brethren and get ready to work your way up the Italian tree! Please note these tank models are not final. 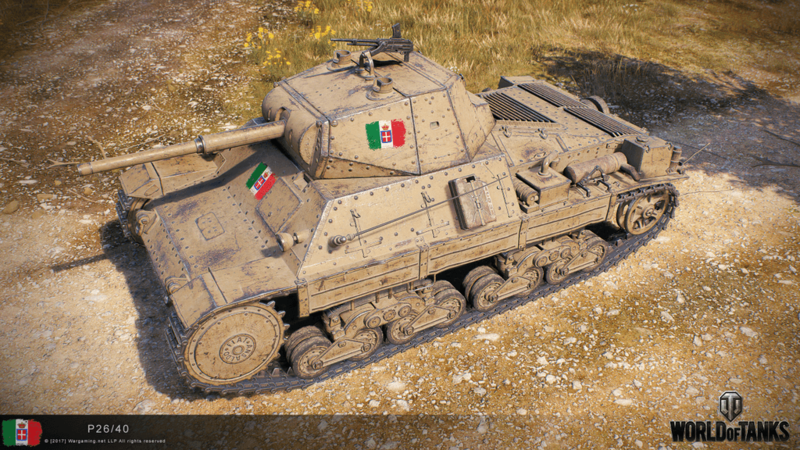 You’re free to use higher-tier Italians as a single shot tank, or as a clip thanks to a new loading mechanic. Basically, it's a combination of a drum and single shot system. As soon as you fire, the drum begins to reload. The more shells you have in the clip, the faster it loads the empty part of the magazine. The first shell takes the longest to reload, and it speeds up from there. If you fire again, before the shell is reloaded, the reloading is interrupted and starts anew. “How can I leverage it then,” you ask? Here’s a simple tip: analyze what’s happening on the battlefield and use the drum situationally. Empty your clip when you know you'll have time to reload. Single-shot when you need to get someone down to where they can then be clipped out. This way, you can offer sustained fire and your enemy won’t know where you are in terms of reloading. Besides, you never have to worry about managing your clip reload—it always starts reloading when you fire. 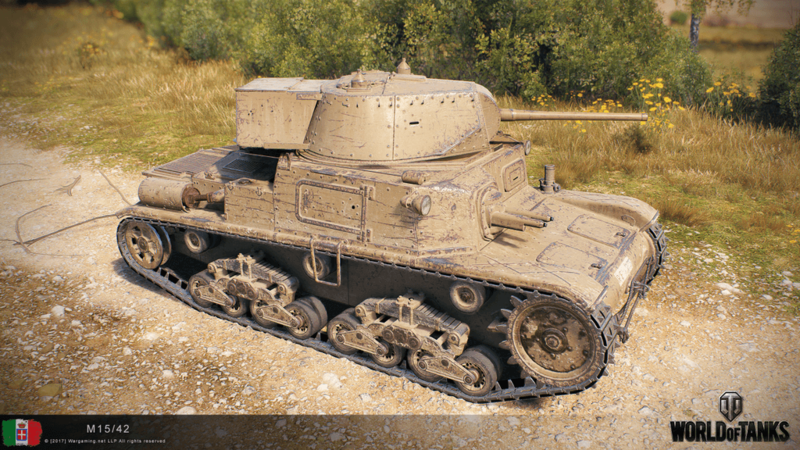 Let’s take a closer look at vehicles with the autoreloader. Let’s kick things off with the Tier VIII P.44 Pantera — the first in the branch to have that feature you’ve all been waiting for — the auto-reloading drum. Stemming from a group of prototypes developed and manufactured during the Kampfpanzer Standard program which Italy first took part in in 1958. In collaboration with Ingeniuerbüro Warneke, Rheinstahl Hanomag, Henschel and Rheinmetall, only two models were produced under the program. After extensive testing, preference was given to the group “A” prototypes, which after further work came to be known more commonly as the Leopard 1. 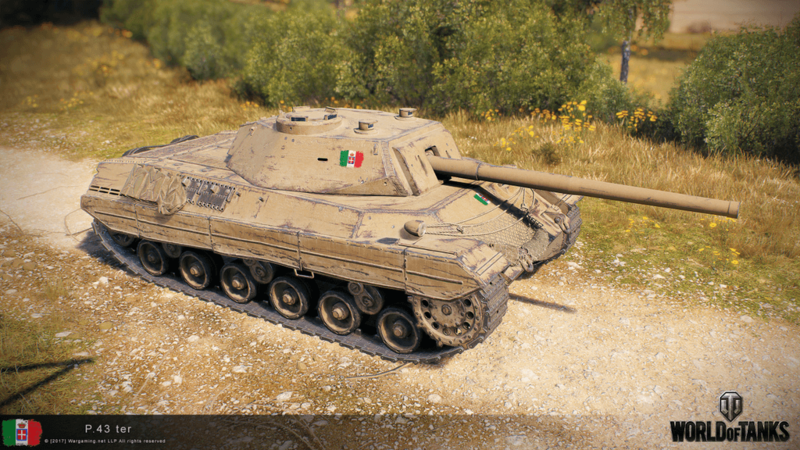 The first post-WWII tank in the Italian tree, it bears a striking resemblance to the German prototype Leopard in terms of dimensions and silhouette. As with the Pantera, the Prototipo also features the new mechanic. Possessing a 105mm gun and a similar angles of depression, this tank could be seen as the direct descendant of the Tier X Progetto. This means you can hone your tactics in preparation for unlocking the Tier X steel beast. In 1969, a military delegation from Italy visited Germany to discuss purchasing Leopard tanks. However, not all the delegates agreed with the idea of acquiring foreign tanks. The Italian military and constructers outlined their basic wishes: decent depression, cast turret and gun mantlet and the powerful Mitsubishi engine. Their wishes resulted in the creation of a small, light, mobile — but well protected — tank. 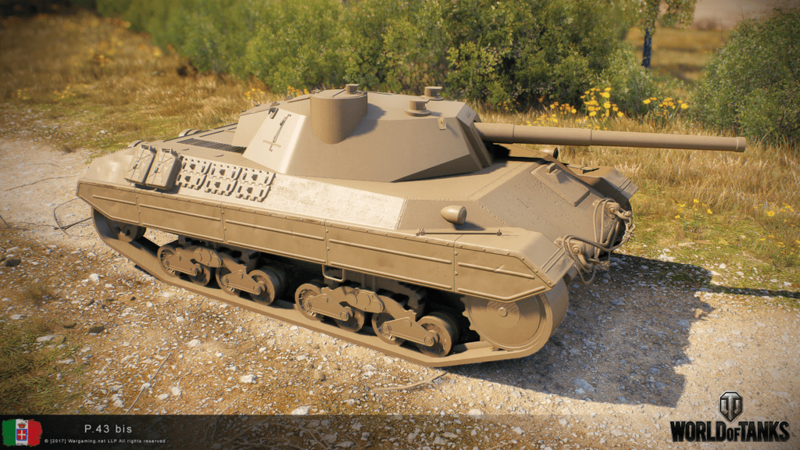 Futuristic form and better gun characteristic with the new mechanics make it possible to fully unleash the skills acquired from the tanks further down the tech branch and the Italian premium. The Progetto M40 mod 65’s good depression and mobility will help you occupy advantageous positions on the battlefield. As at Tiers VIII and IX, the tank performs well at close to medium distances but the armor isn’t something to be relied upon, other than possible bouncing of shells from the hull and turret. As you can see these high-tier tanks have a consistent play style meaning each progression up the branch won’t be jarring and the skills you hone at Tier VIII will benefit you at Tier X.